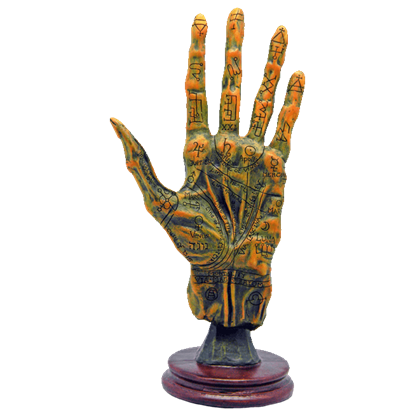 Palmistry is an ancient art that focuses upon studying the hand with the intent to characterize a personality, as well as tell a future. This Alchemy Palmistry Hand is a sort of diagram that shows the hand and its different meanings. According to its creator, the Arcana The Magi Statue By Ruth Thompson represents the learned side of magic. In the original artwork, a doorway appears above the wizard, displaying these words in Runic, What a Piece of Work is Man. 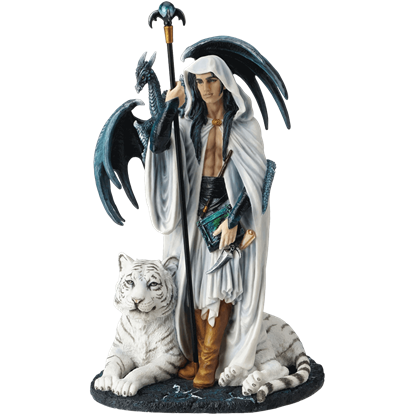 The Arcana The Shaman Statue By Ruth Thompson belongs to a fantasy artwork collection inspired by the incarnations of magic found worldwide. According to Thompson, the statue possesses symbols that represent the naturalistic side. Baphomet came into interest with the Knights Templar as an occult figure they were accused of worshipping. 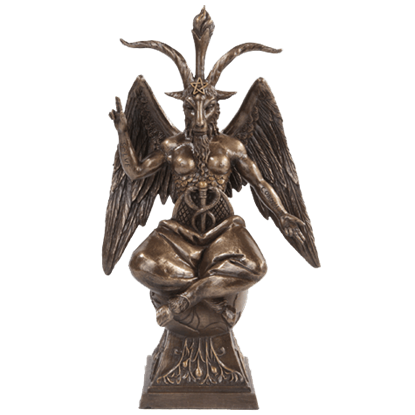 The Baphomet Demon Statue reveals his form with the torso and arms of a man, head and legs of a goat, and feathered wings. Witches can take on whatever appearance they please, and this enchantress prefers a rather colorful style! 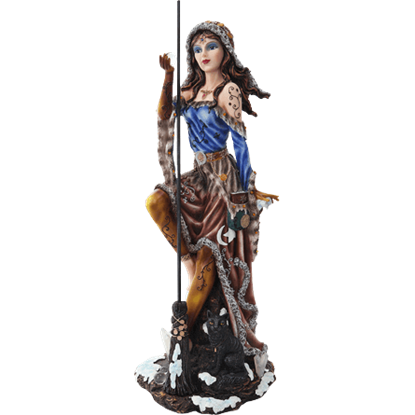 The Bohemian Witch Statue depicts her in a bold blue top with a fur-lined red skirt and bright yellow leggings. The Greek goddess of crossroads, dogs, witchcraft, and poisonous plants, Hecate served as a protective deity in Athenian society. 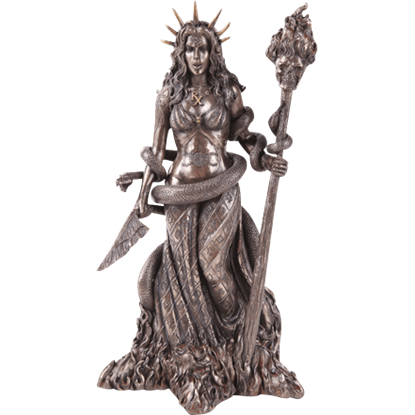 The Bronze Goddess Hecate Statue displays a depiction of this goddess by artist Maxine Miller. 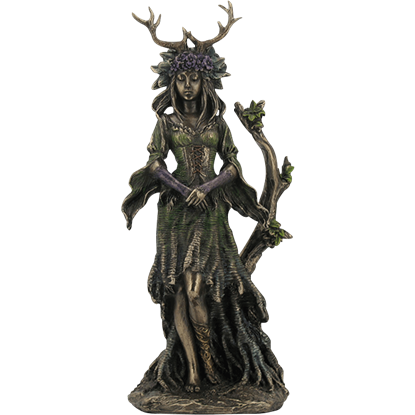 Strolling within her woodland domain, this lovely nature deity appears at complete peace in her outdoors setting. 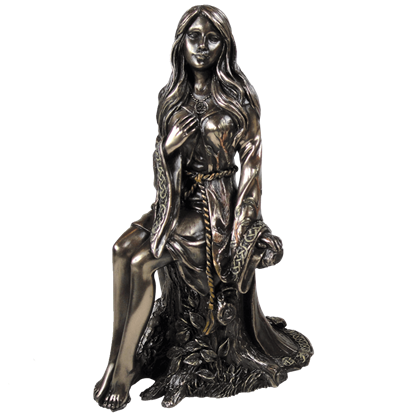 The Bronze Guardian Goddess of the Trees Statue shows her with her hands clasped in front of her as she walks. In the tradition of Ancient Greek religion, Hecate was a prominent goddess who was worshipped daily in Athenian households to bless the families who lived there. 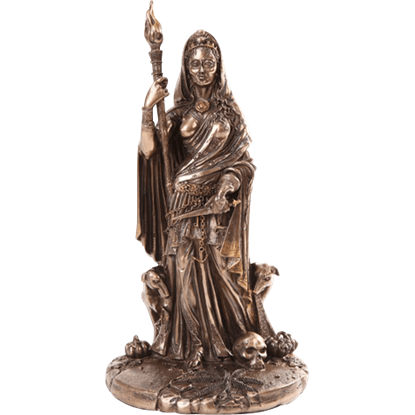 This Bronze Hecate Statue depicts the goddess with many of her symbols. The maiden figure in a goddess triad, preceding the Mother and Crone figures, represents youth and its potential. The Bronze Maiden Goddess Statue depicts her as a young girl dressed in decorated robes, sitting upon a tree stump. Let this adorable witchs companion into your home and heart when you decorate with the Brush with Magic Statue. 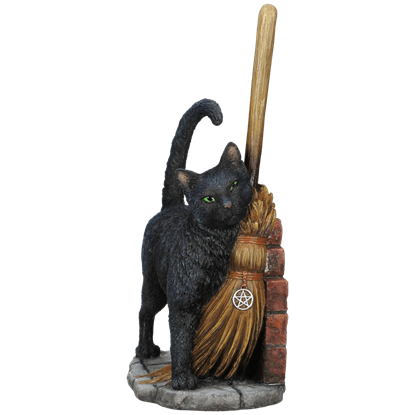 This collectible polystone statue depicts a green eyed black cat brushing up against its witchs trusted flying broomstick. Threefold in her forms, the Triple Goddess is here shown as the Mother, Maiden, and Crone standing around a mighty tree. 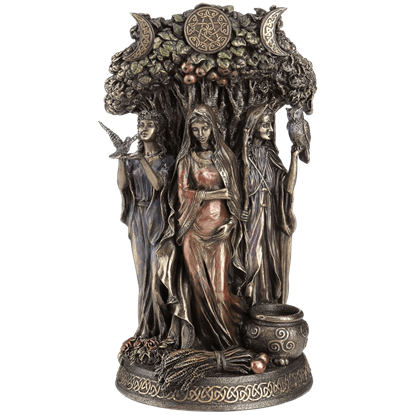 The Celtic Tree Triple Goddess Statue is a magnificent display piece for those who appreciate its symbolism.